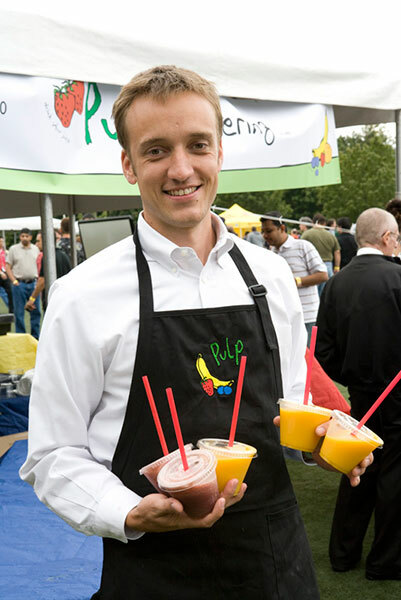 “Amazing smoothies and smoothie cocktails right at my event?” Heck yes! 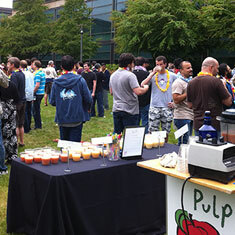 From huge events for 50,000 guests to 50 drinks for an office morale event. 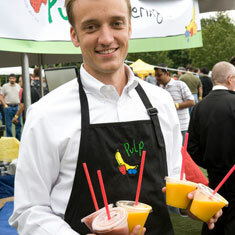 Pulp Pours brings twenty years of experience making smoothies and fresh juices. 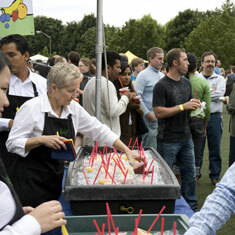 We can design stations for massive functions, or we can wheel in our cool smoothie cart for a small party. Either way weʼll make drinks right on the spot...fresh & tasty. 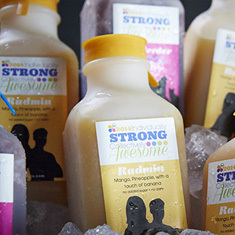 You can enjoy our bottled smoothies, even with your custom branded label, or our friendly team can come to your special event with our smoothie carts. Check out our pics below. 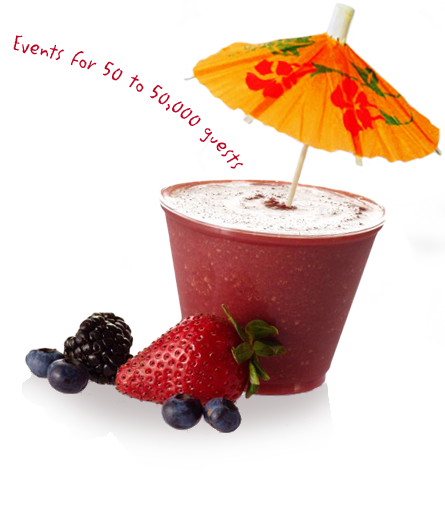 Our quality We only make smoothies and Specialty Cocktails with no added sugar or dairy since 1994. 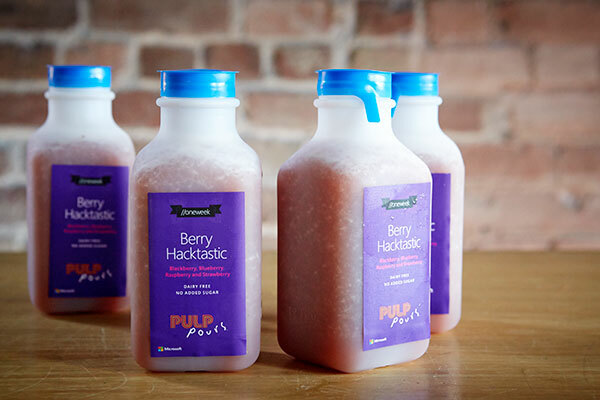 We’re not interested in high fructose corn syrup or artificial sweeteners. Our competitors use these because it costs less. We know our customers demand quality; and that’s what we deliver. 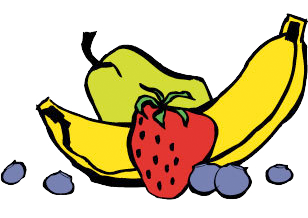 Award winning We’ve produced award winning smoothies since 1994. That’s twenty years, and counting. 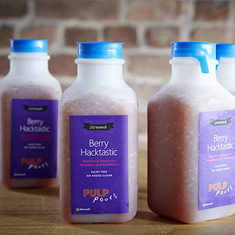 100% Fruit Our 100% crushed fruit purees, cooled down with ice, are tastier and healthier. Many drink choices A wide selection of drinks await you, choose from!!!! 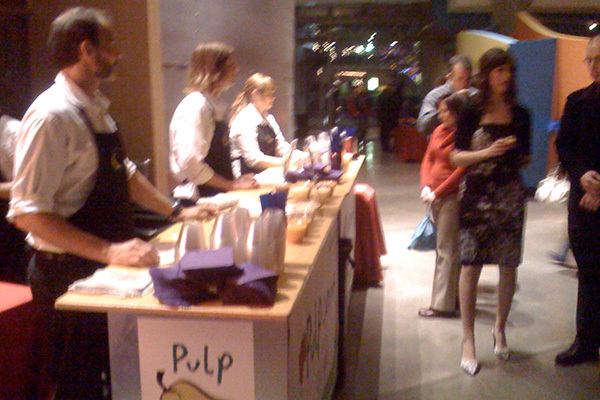 Pulp Original, Pulp Specialty Cocktails & Cafe Pulp. Ready to roll We are totally mobile and nationwide. 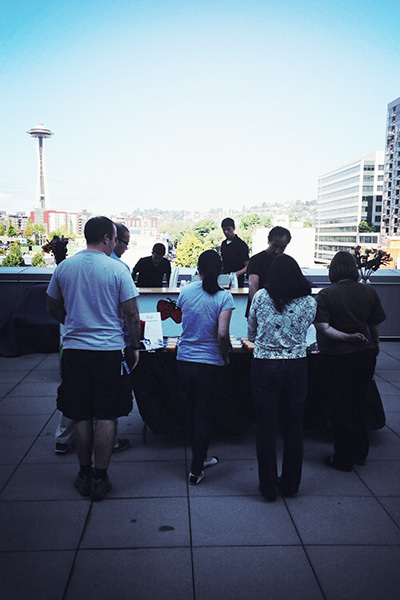 We’ll deck out our bar to fit right in with your event’s theme and mood. 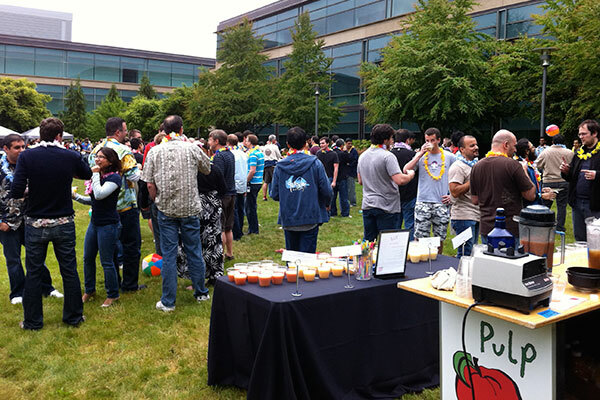 From corporate to black tie to tiki bar, we’ll fit right in. 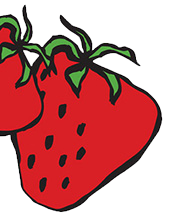 We’ll even print up special menus with creative flavor names that match your event’s theme. 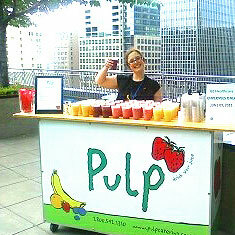 Create your own brand Let Pulp Pours be your brand ambassador! 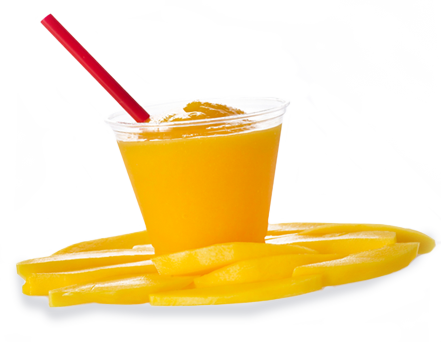 Extend your brand through our tasty drinks. 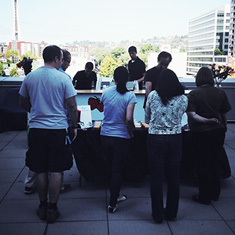 We do product launches, trade shows, openings, and much more. 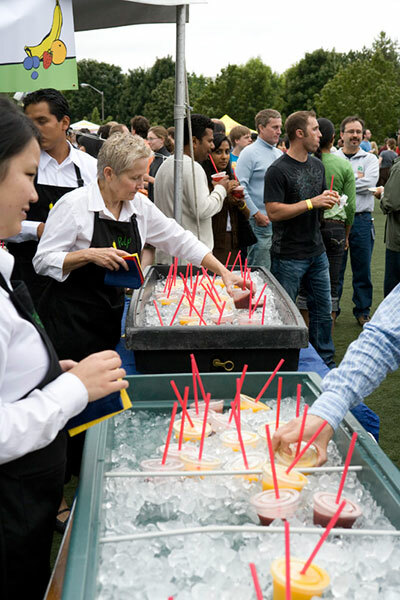 We knocked it out of the park for Microsoft’s Windows 7 launch – 5,000 drinks in 3 hours and 10,000 bottled drinks for Microsoft's "one week" celebration. Celebrate good times c’mon! Weddings, miztvahs and parties - of course! 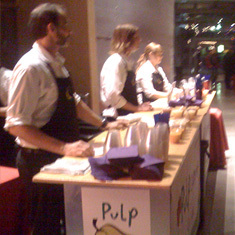 Pulp Pours made amazing smoothies and cocktails for Zooey Deschanelʼs wedding. She loved them - so did Amy Adams and Anne Hathaway. 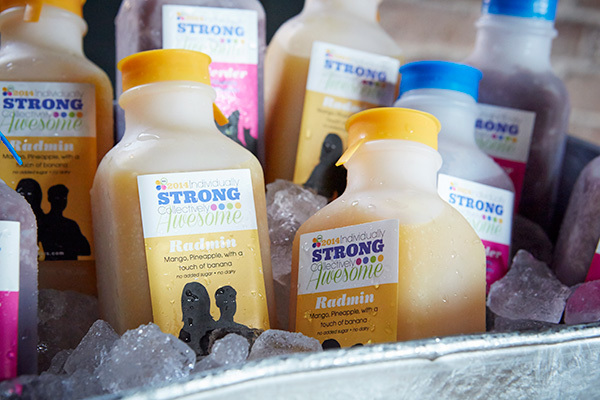 Tennis legend, Serena Williams, hired us for a family event in Palm Beach... advantage Pulp. 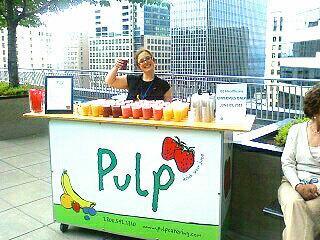 Pulp Pours passion We love making the best smoothies around. 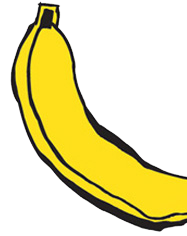 We smile. We laugh. We have fun. It’s contagious. We make our customers happy from the first friendly hello to the very last sip.